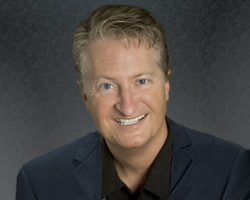 This issue Andy Andrews interviews… Andy Andrews! He’s talked to himself for years. finally, he’s talking back. 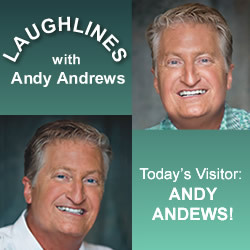 ANDY ANDREWS: Well, I’m certainly excited to sit down with you for this conversation. ANDY: Thanks! You generally do these interviews by phone, isn’t that right? ANDY ANDREWS: Yes, but I know your number is unlisted and you are too slow on email. “In person” was the only way I thought we would really connect. ANDY: Good. I appreciate you thinking of me. 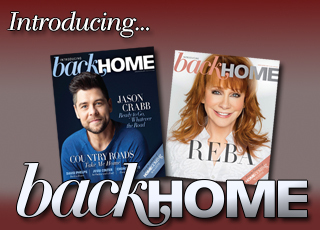 Homecoming Magazine is a particular favorite of mine. ANDY ANDREWS: Excellent. I know the whole staff here is grateful for your loyalty. As for interviewing you, frankly, Guy Penrod, Ernie Haase and Ivan Parker were not available. Thanks for stepping in so I won’t miss my editor’s deadline. ANDY: No problem. Fire away. ANDY ANDREWS: If you didn’t write books or speak, what would you consider your dream career? ANDY: I would be a member of the Gaither Vocal Band. ANDY ANDREWS: Seriously? I didn’t know you could sing. ANDY: You didn’t ask if I could sing. You asked what my dream job would be. ANDY ANDREWS: OK then… can you sing? ANDY: Right now, I don’t think that is a huge requirement for the job. Haven’t you heard? Wes hurt his back. Something was wrong with Michael’s neck. David has a cold and Mark broke his leg. Bill is the oldest guy in the group and he’s the only one walking around! I’ll betcha if I can carry a tune and do a passable “Mary Did You Know?” I’ll have that job before Gatlinburg! ANDY ANDREWS: You seem to be a pretty funny guy. ANDY: Well, thanks for noticing that. I do take a lot of pride in that aspect of what I do. I like to think I am a funny dad, too. I love to make my boys laugh. ANDY ANDREWS: Were you the class clown in high school? ANDY: Noooo. I was more the “class wit.” The class clown is the guy who runs naked across the football field during freezing weather in front of the whole school. I was the one who talked him into doing it! ANDY ANDREWS: Do you ever see those tendencies in your own boys? ANDY ANDREWS: I might side with your wife on this one. ANDY ANDREWS: Live with it. ANDY ANDREWS: By the way, when you blurt out whatever is on your mind — as you are often prone to do — what is the worst that can happen? ANDY: Nowadays, I suppose the worst that can happen, personally, is extreme disapproval and a lecture from my wife about inappropriate behavior. That’s kind of the adult version of a paddling in the principal’s office. Professionally, one can say the wrong thing and be ostracized. ANDY ANDREWS: Why would you have been ostracized for that? ANDY: Bill didn’t write that one. ANDY: Yeah. The man and his wife write millions of songs and I pick the ONE that wasn’t theirs. ANDY ANDREWS: That’s tough. So you were ostracized? ANDY: Yes. I am telling you, even Jimmy, the banjo player for the Isaacs, avoided me after that. ANDY ANDREWS: Should you mention Jimmy in that light? I know that most of the time you two are buddies. Aren’t you concerned he might see this in the magazine? ANDY: Noooo … Jimmy’s a banjo player. He can’t read. ANDY ANDREWS: He is talented, though. ANDY: Yes, he is. Songwriting is his gift. The banjo is a sideline, but one he does well. Not every musician can pull it off, but Jimmy can. You know what “perfect pitch” with a banjo is? ANDY: When you throw the banjo in a dumpster and it lands on an accordion! ANDY ANDREWS: Say goodbye, Andy.